Bridlewood Apartments is your home for sophisticated living. Each of our one and two bedroom apartments for rent near Milwaukee features the in-home and community amenities you need to live, work, and play. Imagine waking up in your spacious bedroom and cooking a chef-inspired breakfast in your gourmet kitchen. In the summer, savor the flavors from the privacy of your balcony or patio. During the workweek, pick up your car from your convenient one-car garage, or on the weekends, walk your dog to the on-site dog park for a game of fetch. As an added bonus, we include the cost of heat in your rent to help save you money through those cold Wisconsin winters. If you’re looking for a premier apartment home with elegant and convenient amenities, look no further than Bridlewood Apartments. 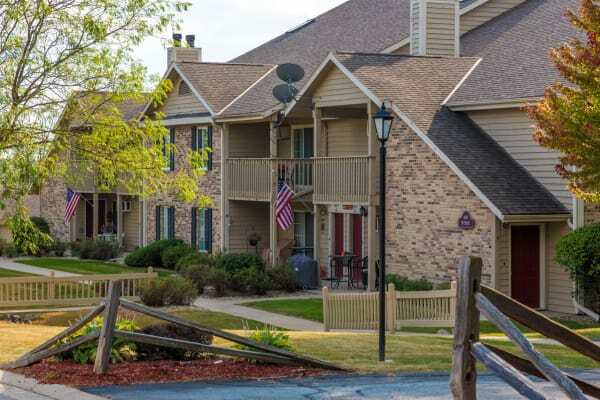 If you’re ready to make Bridlewood Apartments your new home, call our friendly management team to schedule your tour of our one and two bedroom apartments near Milwaukee today.